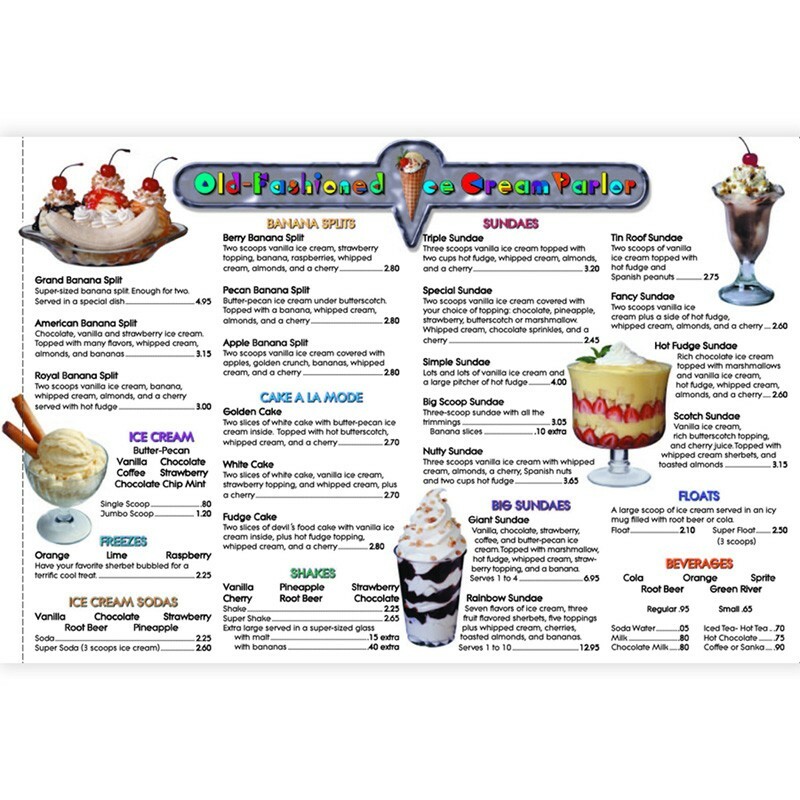 Six extra price lists for the Old-Fashioned Ice Cream Parlor. Perfect for role-playing situations and classrooms where students will benefit from having their own full-color, realistic price list to use instead of a black and white photocopy. For grades 3-6.